Allied Advertising and Terry Hines & Associates are full-service agencies specializing in advertising, publicity and promotions for the entertainment industry. With offices and teams located throughout the United States, both firms pride themselves on providing top of the line services for many Hollywood studios, including 20th Century Fox, Paramount, Walt Disney and Paramount. Both Allied Advertising and Terry Hines & Associates are known for their groundbreaking marketing and publicity campaigns that drive media buzz as well as revenues. To keep pace with the highly competitive entertainment industry, Allied Advertising and Terry Hines & Associates envisioned an entertainment-based social networking Website that would automate the cumbersome and costly process of promoting movie screenings and other related activities. The two agencies envisioned that this new portal would help their entertainment clients manage advanced screenings of films in theaters across the United States. To make this vision a reality, Allied Advertising and Terry Hines & Associates enlisted DPCI, a New York City-based interactive technology agency that delivers integrated publishing solutions, to help design and launch an intuitive, easy-to-use Web portal. Based on the agencies' need to create a dynamic, interactive portal, DPCI designed a solution based on the Drupal Web content management system. Drupal's flexibility and ease of use allowed DPCI to customize the system and tailor it to the specific requirements outlined for the new enthusiast site, gofobo.com. The new portal provides users with the ability to search for local movie screenings mapped by zip code, city, and state. 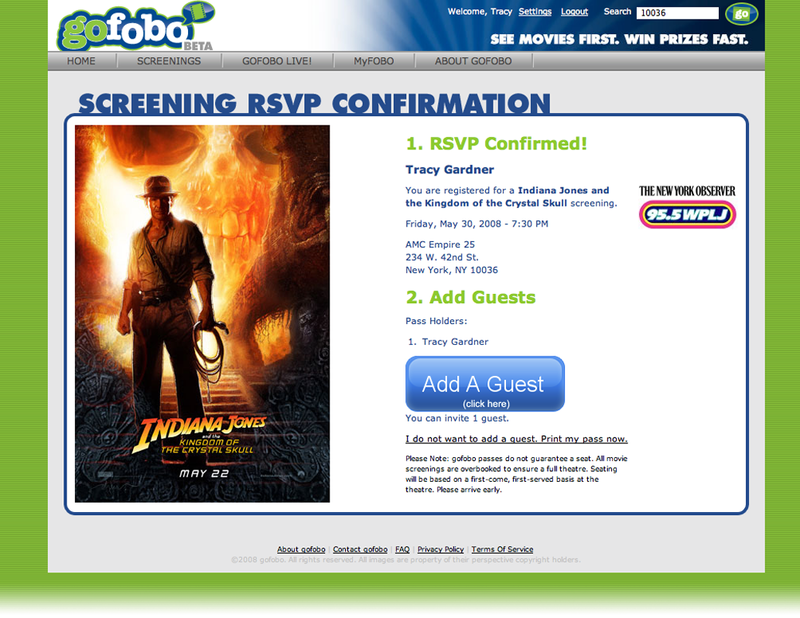 Based on location, movie enthusiasts can RSVP to screenings and print their tickets via the Website. 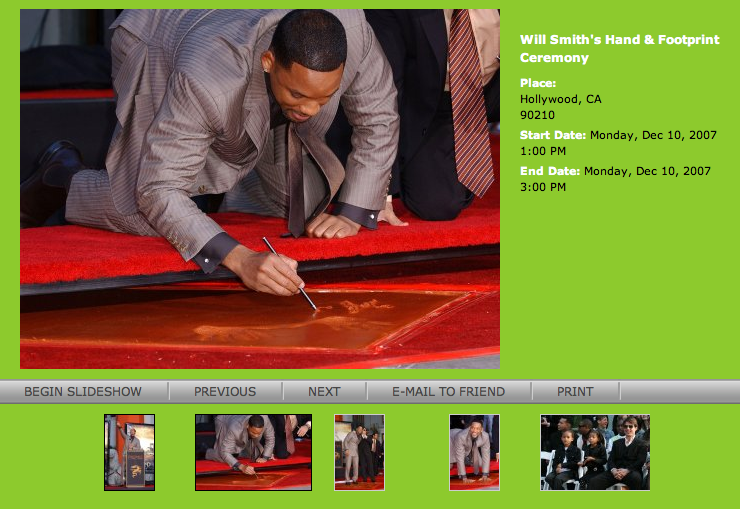 The portal also allows users to enter theme-based sweepstakes, with automated selection and notification of winners. DPCI further customized Drupal to allow users to view promotional previews and clips, known as "stunts", and to subscribe to RSS notifications for local screenings, sweepstakes and stunts based on their personal preferences and zip code. 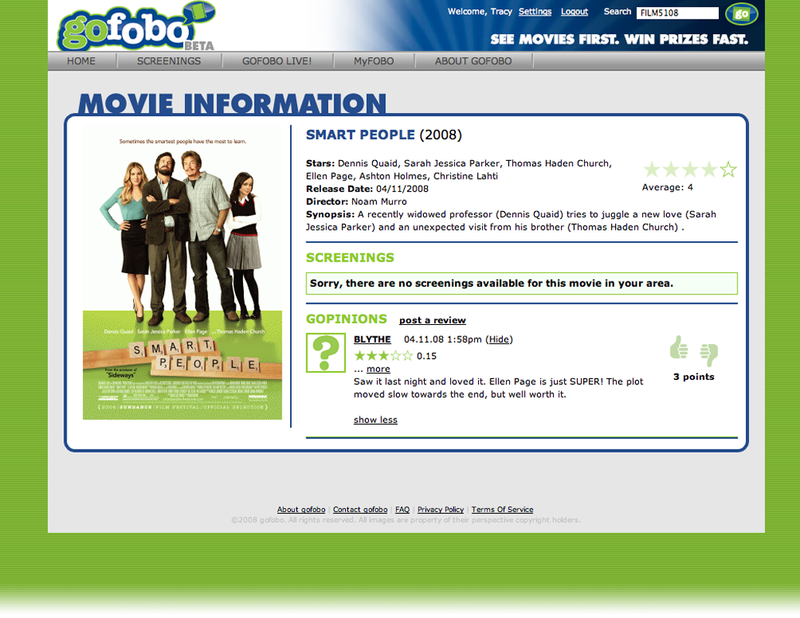 One of the most unique features of gofobo.com is its robust social networking capability. Publicists across the country can log in to create screenings in their areas, distributing the work of site maintenance and updating among hundreds of field personnel. Movie enthusiasts can create profiles to specify what kinds of movies they like, which alerts they want to receive, and what aspects of their personal information they want to keep private. The site also includes an AJAX-enhanced user experience for browsing and uploading images, with user ability to flag inappropriate images. 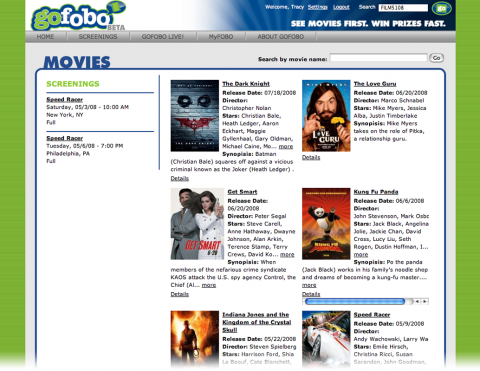 In future phases, users will also be able to participate in discussion forums, post reviews, rate reviews posted by others, and send messages to other members of the gofobo.com community. DPCI designed the site to enable its sponsors to gather advanced, immediate analytics from audiences based on user behavior and demographics, as well as individual member feedback. DPCI customized Drupal for automated barcode creation which helps prevent duplication of tickets and facilitates gathering of user data. The agencies are able to collect data on site through scanners in theaters that read the bar codes on the printed tickets. 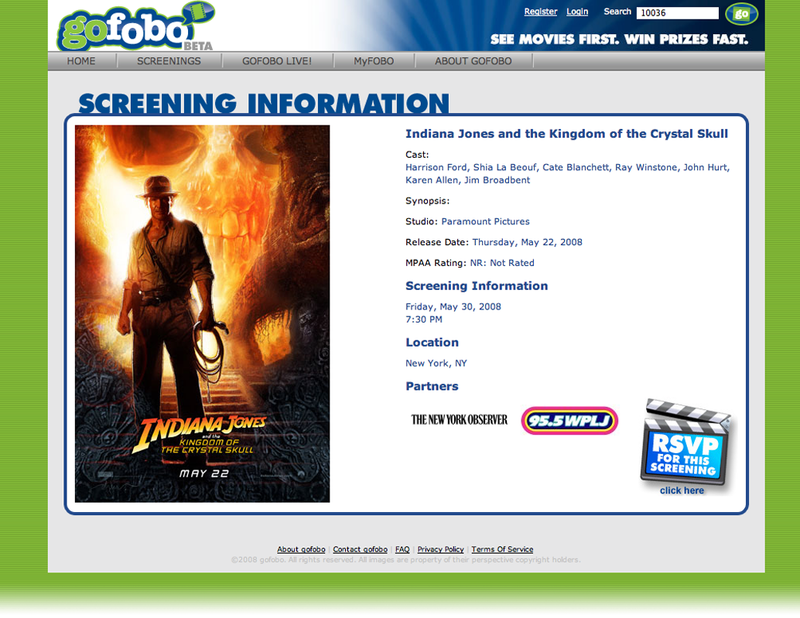 By capturing this enhanced information, Allied Advertising, Terry Hines & Associates and their movie studio clients are able to further promote ticket sales and generate interest in films. 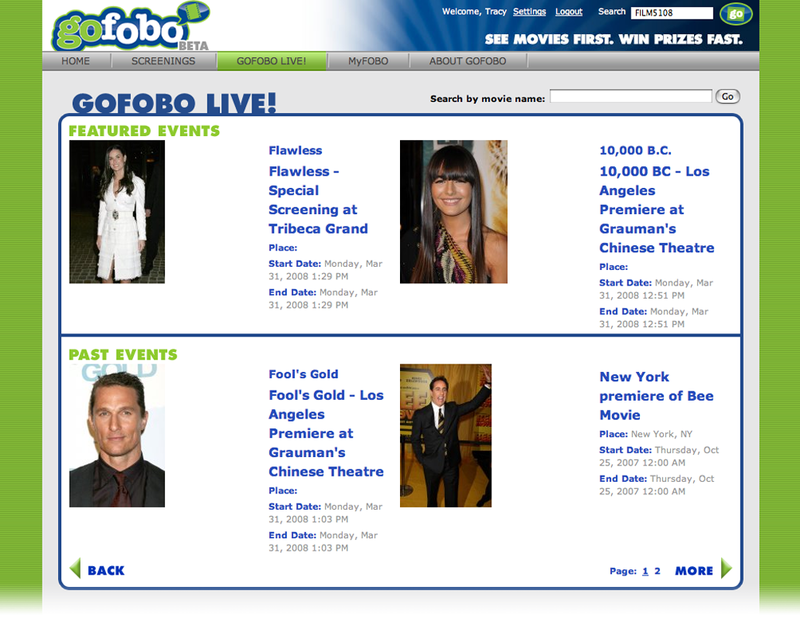 The new gofobo.com portal has enabled Allied Advertising and Terry Hines & Associates to build an interactive community of movie enthusiasts, promote screenings more effectively, and collect detailed information and performance breakdowns based on location and demographics. By offering these enhanced analytics, studios can now evaluate movie performance and accordingly develop different marketing strategies.